Welcome to Perfect Pixel Factory! I look forward to working with you to create a memorable event. At Perfect Pixel Factory You will find high quality and unique designs for every event. Our inventory is constantly growing, so keep checking back with us to see what’s new. -Event invitation, announcement, save the date, holiday cards,etc..
-A digital invitation file(s) will be sent to your ETSY EMAIL for you to print. No items will be shipped. 1. Purchase the design you like by adding it to your shopping cart and check out via PayPal or Direct check out. 4. Within 48 hours or less, (Usually less) during the work week I will email the proof for you to review. I will be happy to make any changes until you are 100% satisfied with the final product. However, once you have approved the files any changes will require additional cost. ★Rush orders available for an additional fee. Please contact me BEFORE placing a rush order. Revisions may take up to 24 hrs to be completed. Thank you for your patience. For faster turn around time please make sure to include all the information you would like to include in the invitation with your order. I will work on your invitation until you are 100% happy with it. However, once you have approved the file you are responsible with any errors and there will be an additional cost for revisions. ★Check the proof for all spelling and information details. Once you have approved the file, I will send you the high-resolution file for you to print. A JPG or PDF file will be sent. You may print as many as you need: This file is for personal use only. You may not forward, share, sell or distribute the file. Your photo should be a high resolution JPG format straight from your camera for proper print quality. Pictures of pictures will not be accepted. DO NOT CROP OR EDIT PHOTOS BEFORE SENDING. Small photos will blur when enlarged will not be accepted. Please do not send close up photos as they will not work. There needs to be enough space for me to properly place the photo to the design. If you are sending a photo of your son with a stuffed toy,prop or balloons please note that they maybe cropped to fit the design, unless they are directly in front of or closely next to the child. PHOTO EDITING please be sure and submit a photo you're happy with. I may brighten, lighten your photo. However, any additional editing may incur an additional charge and must be discussed prior to ordering. If the photo you are emailing me was taken by a professional photographer, please ensure that you have full permission in the form of a copyright license from the photographer. You also agree to take full responsibility for any misuse of copyrighted images and agree to not hold me liable for any misuse of copyrighted images. This store will not accept photos for invitations that have a watermark on them. No company names will be advertised or displayed on the final product. Keep in mind that if you are having your invitation printed at a photo lab, it's much cheaper to print the 4x6 size. I recommend checking out printing policies and pricing prior to ordering. If the size of your invitation is not specified in your order notes at the time of purchase, a 5x7 will be sent to you. No exception. ★If you purchase the wrong DESIGN and/or SIZE (or have changed your mind on the design and/or size) ordered AFTER the digital file of the invitation has been sent to your email box, you will need to re-purchase another invitation as I'll need to start from scratch and work with a completely different template. No exception. Please keep in mind that cell phones and other mobile devices and thie providers tend to compress/reduce attachments/files sizes. This may cause issues (and has with previous clients) when trying to upload to an online printing vendor as the file will no longer be the original 300 DPI file size (huge) required by online printing vendors. This is an issue with your provider and is not reflected on the actual file size emailed to you by Perfect Pixel Factory. My recommendation is to upload/download the file(s) from a computer to eliminate this issue. *Please note colors seen on screen may differ upon printing depending on the quality of the printer, paper used and settings. Perfect Pixel Factory is not responsible for the resulting color variations. Because there are a vast number of variables involved in printing, there will be no refunds and no design revisions of colors if you are dissatisfied the colors, size, shape or prints when they are printed. Test prints are recommended before you print multiple files. All listing are for the creation and delivery of high resolution JPG DIGITAL FILE (digital file) Or PDF File (Portable Document Format). No physical product will be shipped. 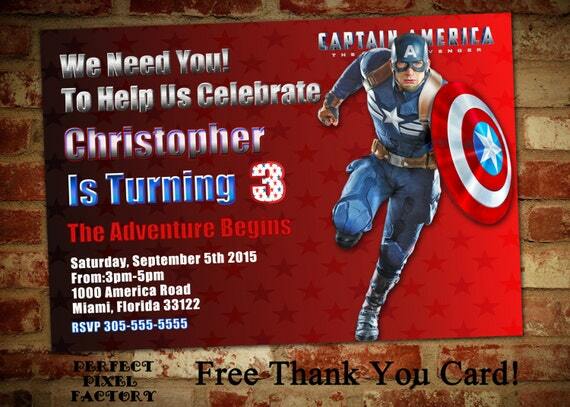 Your purchase is for the time and effort involved in creating your child's customized invitation and or party items. I personalize and create printables for your event, I don't specialize in the printing of them. If you're using an online vendor, or walk-in photo lab, to print out your printables, please call 'them' to ask about their uploading processes as I'm unaware of how that vendor may operate and is a completely different service than I offer. Please remember that if a vendor requires a bleed or border, you will need to specify at the time of placing your order. If requested after the order is approved there will be an additional charge no exception. Once printed, If any of the files look different in anyway from how the file emailed to you 'view's, that's a technical issue with your printing vendor. You will need the following materials..
2.Heavy weight premium photo paper in a soft/semi gloss for photo invites or bright white matte finish card stock. Many photo labs are unable to print these popular party invitations/printables due to the copyright images used on them. I recommend checking if you had a specific vendor in mind. Below is a listing provided by feedback received from previous clients that may help you in finding locations to print them at. ★walgreens.com, cvs.com, vistaprint.com, Target, Shutterfly, Sam's Club and some Costco and Kinko locations. If you upload your file(s) to snapfish.com as a one picture, no text invitation, they include envelopes. Places that will not print them include Staples, Wal-Mart, Office Depot, Office Max, a few Costco and Kinko’s locations. IMAGES AND DESIGNS were created byPerfect Pixel Factory and are protected under domestic and international copyright laws (aside from licensed character images or trademarks) according to 17 U.S.C. Section 501. Any licensed images of characters used in the designs are free and not being sold. Character copyright is held by original owner. (Digitally reproduced or interpreted licensed characters cannot be shared, distributed or sold and limited rights are not transferable to anyone for any reason.) Designs are intended for ONE TIME use only. Your purchase is for the labor and time involved in creating your child's customizations. Inquiries made after hours, weekends or on holidays are not guaranteed a response until the next business day. Orders can be made at anytime!